Kershaw Showtime 1955. 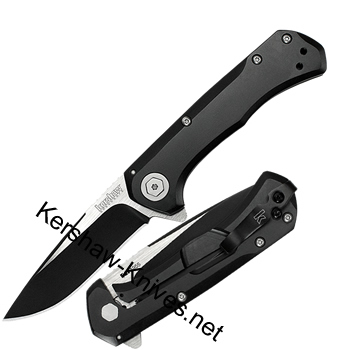 Kershaw and Todd Rexford have designed this two toned bladed knife. Distinct and powerful looks, this Showtime is a showpiece for sure! 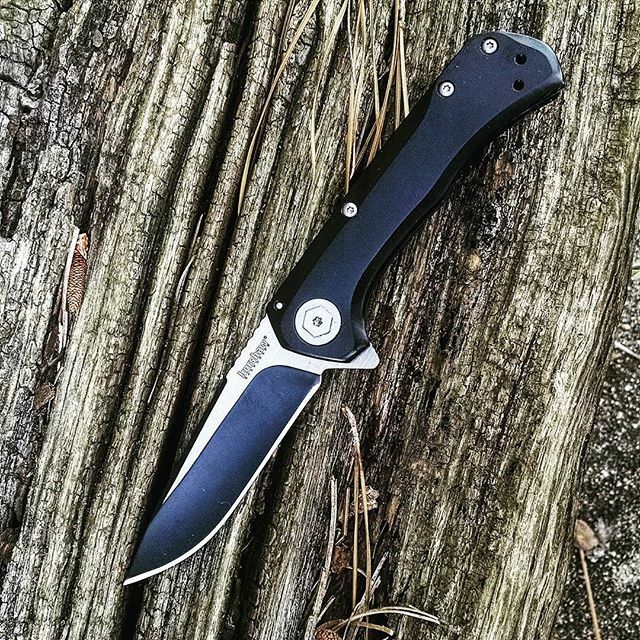 Rexford has made the blade with black-oxide on the grinds and satin-polish on the flats- it gives the blade a very unique look. Made of 8Cr13MoV stainless steel, so this steel will retain it's edge. Deep carry pocket clip to keep it discreet and position can be changed for a left or right carry. Hexagonal screw pivot on the handle, adds to the silver blend on this black smooth handle. Handle is made of Steel with black-oxide coating and is 4 inches long.